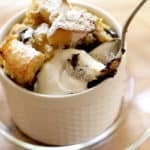 When the wind is still blowing and spring feels months away, that’s when I love to whip up this Banana Bread Pudding with Chocolate Chips recipe. 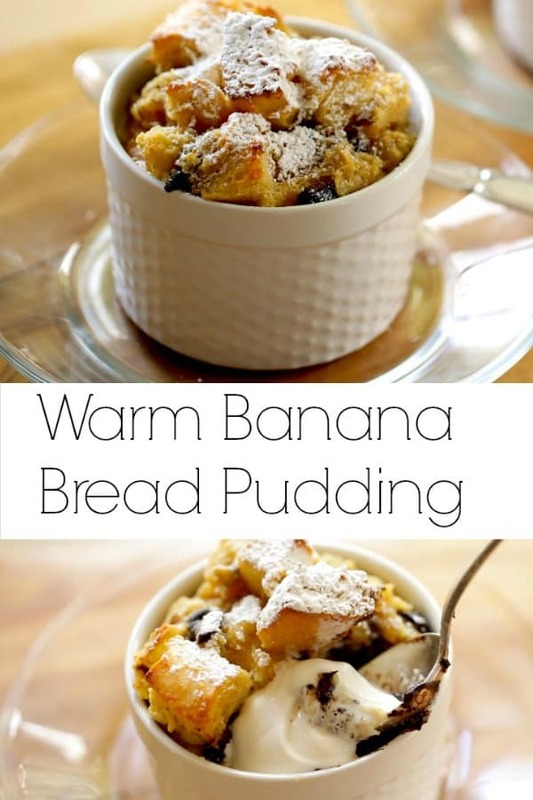 This will become your new favorite winter dessert idea! It’s so delicious, and so easy, and well, that’s what makes it sort of dangerous!? It’s perfect for entertaining because you can prep it in advance, keep in your fridge and then pop them in the oven once guests sit down to dinner. 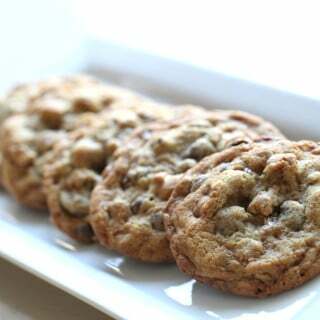 Watch My Video Of This Recipe Below! 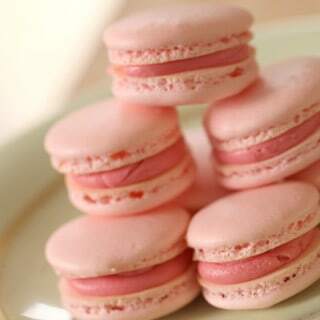 I also love to serve these with a little lightly whipped cream on the side. 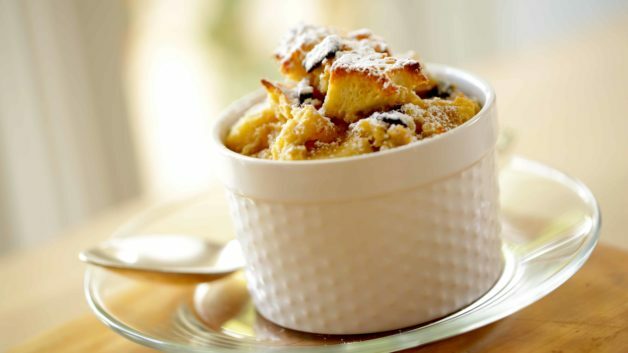 Make sure it’s still pourable so don’t whip the cream too much, because it makes for a really fantastic complement to the warm bread puddings to have that cool, lightly sweetened whipped cream. 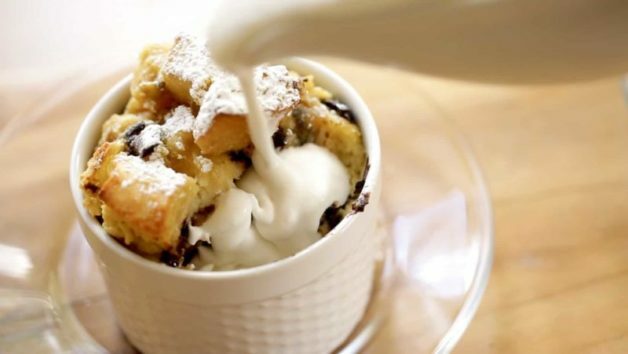 Since the puddings are piled high, it’s easiest to pour the cream in once you’ve taken a few bites! 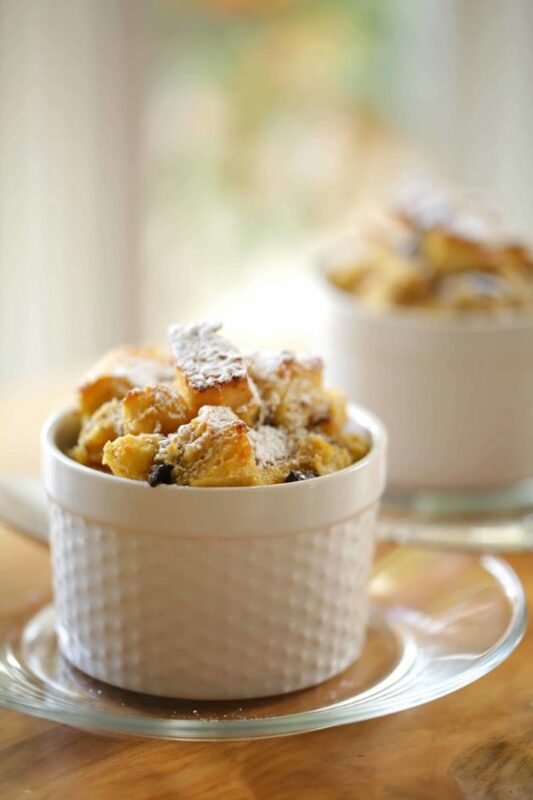 A terrific bread pudding recipe that can be made in advance, and baked once guests sit down to dinner. So easy and so good! Spray ramekins with baking spray and set aside. In a small bowl mash banana with a potato masher, or fork, until pureed. Set aside. In a large bowl whisk together the eggs, then add cream, sugar and vanilla extract. Whisk to combine. Add bread cubes and toss to coat. Add banana puree and chocolate chips and stir to combine. Scoop out mixture with an ice cream scoop and place in ramekins until full and bread cubes are piled on top. Bake for 40-45 mins until custard is cooked through, and no liquid appears when puddings are pressed down and bread cubes are toasted and golden brown. 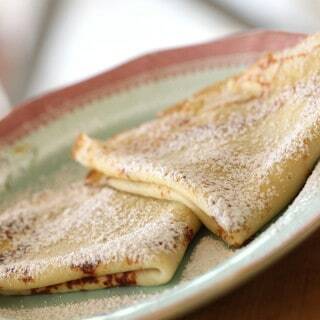 Dust with powdered sugar and serve with lightly whipped cream. 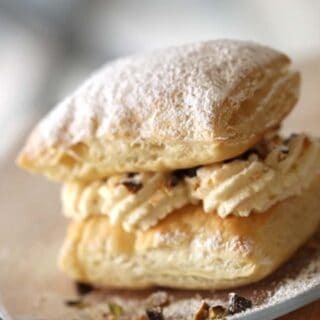 Combine all ingredients and whip on high with an electric mixer until soft peaks form and cream is still pourable. Transfer to a small pitcher or gravy boat and serve with the puddings. 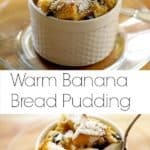 You can make and assemble the puddings ahead of time. Then just pop in the oven and bake when you sit down to dinner! Whipped cream can also be made in advance. Keep covered and refrigerate until ready to serve.